any mains exam. Many exams who clear the mains fail in this essay/letter writing due to a dispersed knowledge on how to tackle them. That is why bankexamstoday has come up with a comprehensive way to clear this part. Just follow the rules given by us and this would be sufficient for any aspirant. First and foremost of all, remember that it is a formal letter. So remember that you are writing this letter as a request to an official and not to a friend or a family member and hence make sure to write the letter in a formal manner. Make sure you know the officials' name. Make sure that you know exactly whom this person is, and that he or she is the appropriate person to contact about your case. Clarify why you are writing a letter to this particular official. In reality, you must mention the email address of yours to the person whom you are sending. However, in the exam, just mention it as xyz@gmail.com. This is an added advantage and would fetch extra marks. When writing a formal letter, it is recommended to mention your phone number, so that the concerned official might find a way to contact you. However, it’s not always necessary. I the exam, just mention it as xyz. Include the official's title and full name (e.g. Prime minister Narendra Modi) along with his or her official mailing address. Write the words clearly and legibly in the centre of an envelope, and then seal the letter inside the envelope. Stick a stamp in the top-right corner of the envelope. Please make sure to write your full name and return address in the top-left corner of the envelope! Show due respect. Open your letter with a formal salutation, and end it with an appropriate closing statement. Depending on the level of government, this official may employ a team of secretaries to read his or her mailbox for important letters. A polite, thoughtful, and well-written letter will usually be more likely to make it through this filtration system. The first doubt that comes to our mind is whether to put a comma after ‘from’ and ‘to’. The answer is plain no. Do not make the mistake of keeping a comma or semicolon after from and to. This might cost a few precious marks. If not all the above rules makes sense, we are attaching a sample letter for your reference, just make sure you give it a glance before going for exam. On 20 august, I would like to report the bad service of municipality at rajah’s street, Chennai these days. I am disappointed because of the unsatisfactory service of the municipality to control the mosquito problem and their solution was completely pathetic because no one seems to bother about the problem and many the municipal corporation thinks of it as a minor issue. Yet, this cannot be tolerated. For the problem to be solved, I would like you to write an editorial regarding the condition of Rajahs Street. We are trying this as a last resort because no one did concern in the corporation regarding the complaint. Enclosed is a copy/are copies of the photographs taken and some files given by the corporation. I look forward to hearing from you and to a resolution of this problem. Please contact me at the above address or by phone [give numbers]. 1.Write a letter to an authority regarding the difficulties faced by students regarding power cut and request them to ensure uninterrupted power supply. 5.Write a letter to the concerned authority regarding strict enforcement of animal laws. 6. 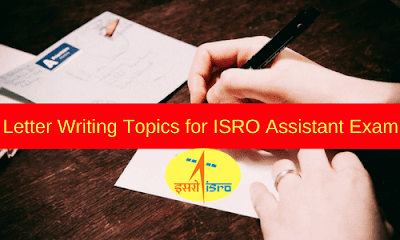 Write a letter to an authority regarding the difficulties faced by students regarding job cut and request them to ensure uninterrupted job supply in the market. 10 .Write a letter to the concerned authority regarding strict enforcement of animal laws.